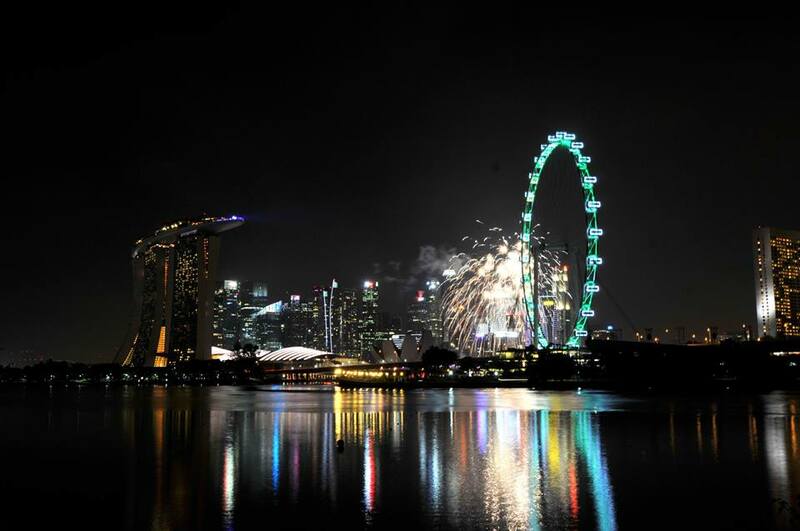 Singapore – the name itself brings to us the image of a wealthy and suave cosmopolitan city. The best thing about Singapore is that it is the perfect amalgamation of east and west. 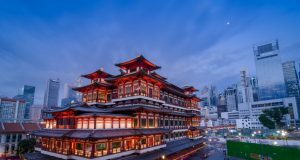 While you would see modern buildings and structures just like in western cities, Singapore has been able to preserve its culture till today. The city offers a lot of things to see and do for both residents and tourists. It is a guarantee that there would never be a dull moment in this beautiful city. Let us take a look at some of the best things to do in Singapore. Singapore has undoubtedly the best night clubs and night parties that you have ever gone to. 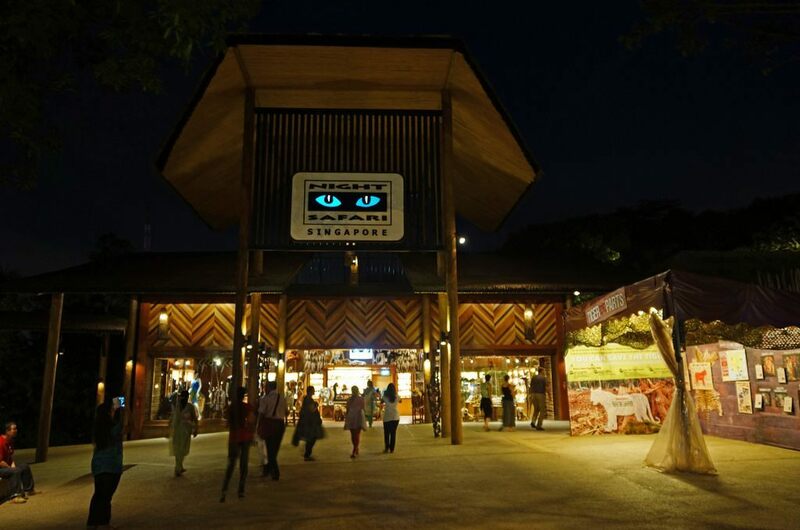 However, if you wish to spend your nights in a unique way, the Singapore Night Safari is the best place to go to. Located next to the Singapore Zoo, the Singapore Night Safari Park opens when the former closes. The park gives you the opportunity to see nocturnal animals in their natural habitat, an experience that you would rarely get anywhere (unless you plan to visit an actual forest). The park is in a 40 hectare area and is divided into seven forest zones (from around the world) and is home to over 2500 jungle animals. There is also an option of going on foot as the Night Safari Park has several walking trails too. Apart from the actual safari, the Creatures of the Night Show and the Thumbuakar Performance are held at the park for your entertainment. While there are several restaurants and hawker streets in Singapore, dining at the Jurong Bird Park is a unique experience as you get to dine with the birds there. This bird park is located in an area of 202,000 square meters and has over 9000 birds amongst 600 species. Plus, they are not kept in cages but are allowed to fly freely. The whole place has been divided into several zones including the South American Rainforest, the Jungle Jewels Flight Aviary, the African Rainforest, the Australian themed aviary, etc. While visiting these aviaries, you will get the chance to see birds like Lories, yellow-hooded blackbirds, parrots, saddle billed storks, red-crested cardinals, etc. Once you are done with the tour of all the aviaries, you can head to the Songbird Terrace to have lunch with the parrots. Apart from having a delicious Asian lunch, you also get a chance to see and appreciate the talent of our feathered friends in a 30-minute interactive show. Sightseeing in Singapore involves a lot of walking. However, if you want to get a glimpse of the entire city-state in a relaxed, yet exciting way, hop on to the Singapore Flyer. 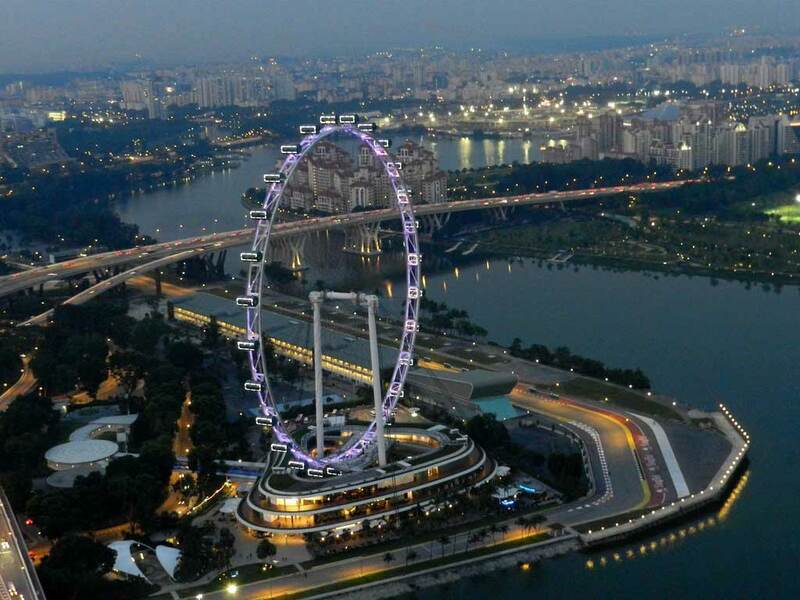 The Singapore Flyer is a giant Ferris wheel with 28 capsules, and each capsule has the capacity to accommodate 28 people. As the Ferris wheel takes you on a ride, you get a glimpse of the entire city, including all the important landmarks and places like Merlion Park, Singapore River, Marina Bay, Empress Palace, Floating Stadium, Raffles palace, Fort Canning Park, etc. If you keep your eyes focused at the horizon, you could also get the chance to see the neighbouring countries of Malaysia and Indonesia. Apart from this, get to know about the background story of the Singapore Flyer through our newest attraction, the Joy of Dreams and also get to know about more about the architecture and culture of Singapore through the engaging multimedia presentations in the seven galleries present here. 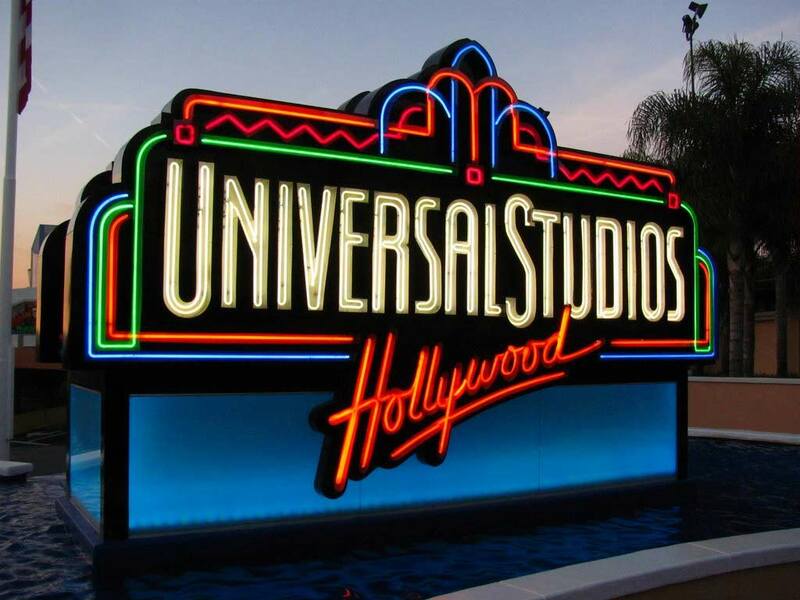 The Universal Studios in Singapore gives you the chance to enjoy your favourite movies in a unique way. It is the place where you can live your favourite movies for real. The place is divided into seven zones namely, Hollywood, New York, Sci-fi City, Ancient Egypt, Lost World, Shrek’s Far Far Away and Madagascar. Each zone will enthral you with its attractions, rides and shows. Some of the rides that you could enjoy here are Jurassic Park Rapids Adventure, Puss in Boots’ Giant Journey, Sesame Street Spaghetti Space Chase, Shrek 4D Adventure and several more. With your favourite movies and television shows live in front of you, you would definitely have a great time. 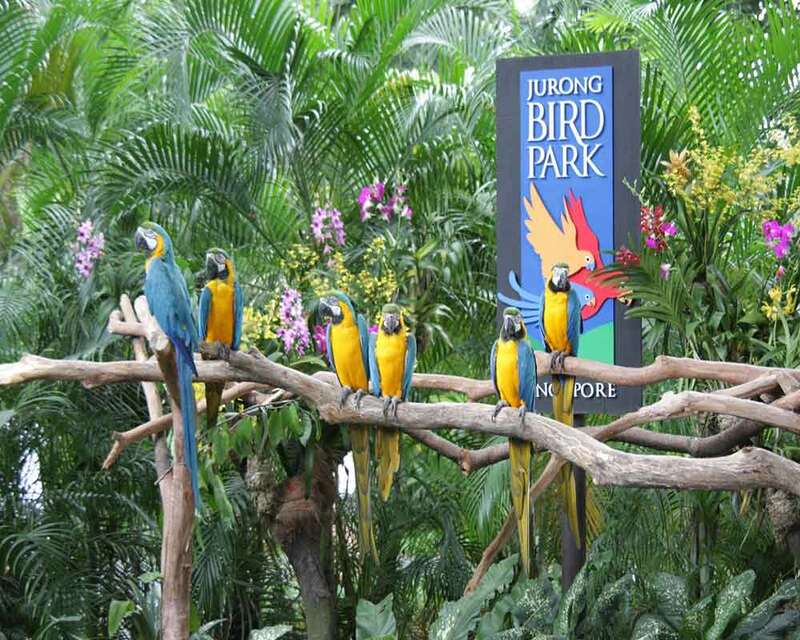 Singapore has done an exceptional job to preserve nature and one of the best examples for this is the Jurong Bird Park. This wildlife park is located within the Mandai rainforest, thus providing the 3500 inhabitants of the place a natural habitat. Here, you would find 300 species of mammals, reptiles and birds, not living inside cages but roaming freely, and this is what makes this wildlife park really special. This wildlife park also has several zones that represent the jungles around the world. Frozen Tundra, Australian Outback, Wild Africa, Fragile Forest, Reptile Garden, etc. are some of the zones you will find here. Each of the zones is the replica of the region it represents and has the animals of that particular region too. Apart from all this, the most unique feature of this wildlife park is that if offers you the chance to have a jungle breakfast amidst few of its inhabitants. Arrive early at the park and head to Ah Meng Restaurant for a scrumptious international breakfast in the company of the intelligent apes and other animals. 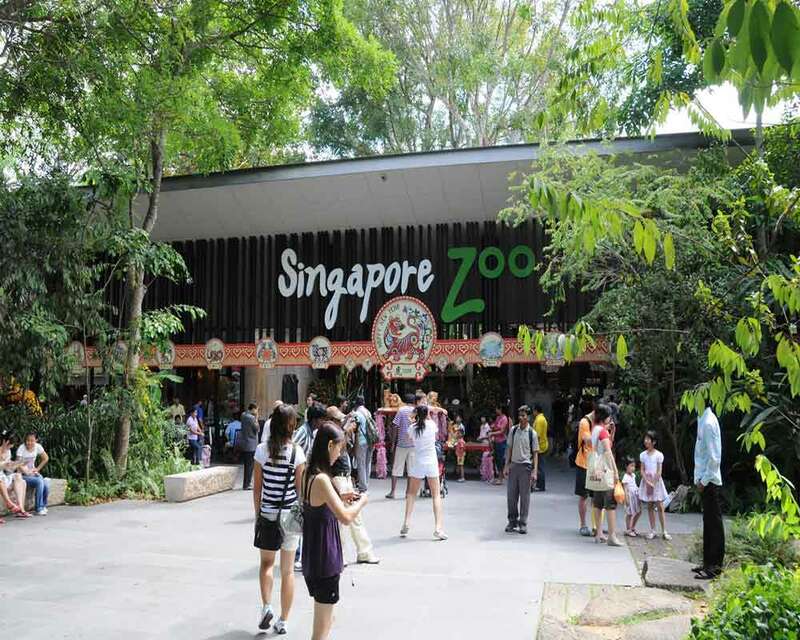 The breakfast buffet would add more fun and excitement to your trip to the Singapore Zoo. 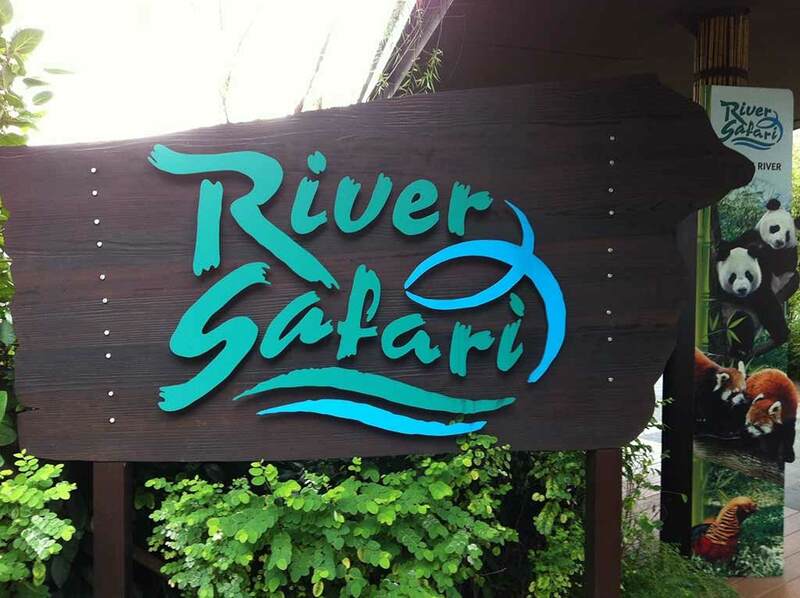 Singapore is known to do things differently and the River Safari is its finest example. 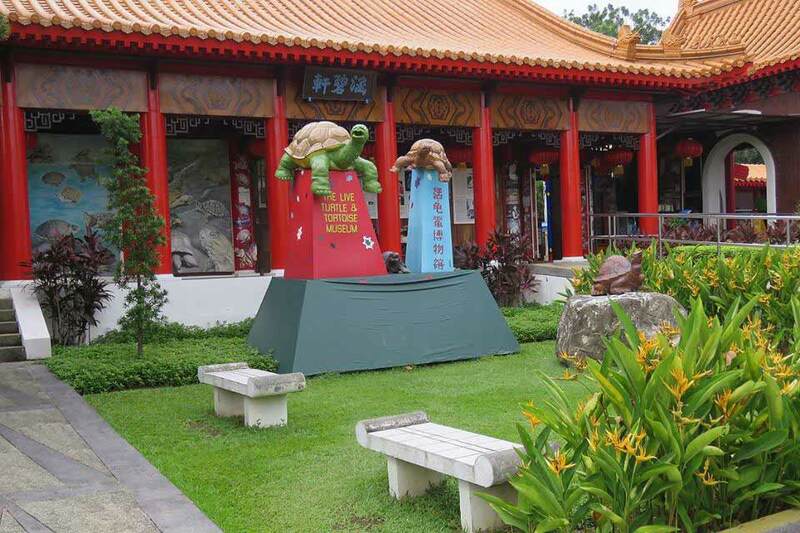 It is Asia’s first river-themed zoo and aquarium where you can see freshwater attractions and enjoy boat rides. Here, you would find marine life from several rivers including the Congo River, River Ganges, Mississippi River, Mekong River, Yangtze River, Mary River, etc. Apart from the aquatic animals, the Giant Panda Forest is the highlight of the place. Few of the inhabitants of this place are the giant pandas, red pandas and golden pheasants. You also get to enjoy the Amazon River Quest, which is a boat ride that would give you a glimpse of around 30 wildlife species from the Amazon River like the red howler monkeys, golden-headed lion tamarins, giant anteaters, scarlet ibis, maned wolves, jaguars, red-backed bearded saki monkeys, collared peccaries, Brazilian Tapirs, etc. You also get the opportunity to go on a river cruise on the Uper Seletar Reservoir. This 15 minute ride would take you to the border of the Singapore Zoo and Night Safari which are the neighbours of the River Safari. The cruise lasts for 15 minutes and would give you a glimpse of the elephants and giraffes of the Singapore Zoo. Sentosa Island is a Singapore island designed purely for fun and entertainment. This place has adventure parks, fun resorts as well as exciting shows and rides that would keep you entertained. 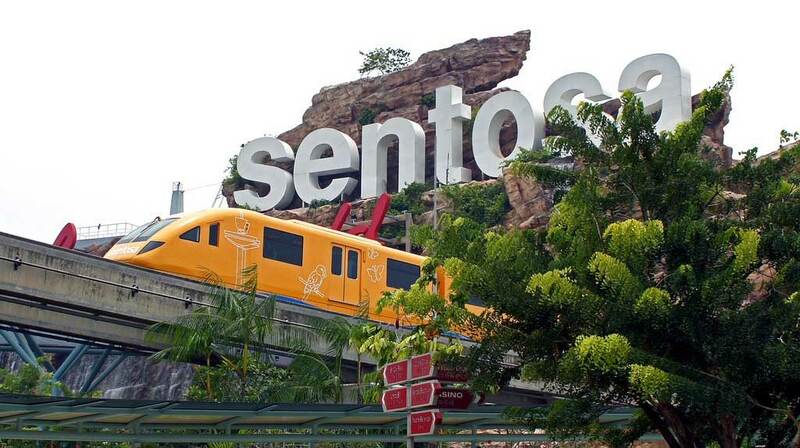 Accessed by cable car, monorail or by foot, Sentosa Island would ensure that you have a fun holiday time. 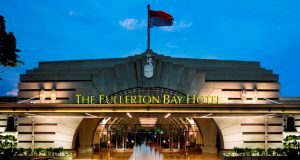 Some of the attractions of this place are the Tiger Sky Tower, Underwater World and Dolphin Lagoon, Butterfly Park and Insect Kingdom, Sentosa Merlion, Sentosa 4D Adventureland, Universal Studios, Fort Siloso, Madame Tussads, Wave House, etc. Apart from all these attractions, one thing you must not miss is the multi-sensory show, the Wings of Time. This outdoor, night show has state-of-the-art laser techniques, robotic water fountains, etc., making it an awesome experience. Singapore has all the signs of being a futuristic city, and the Gardens by the Bay is the best example for this. 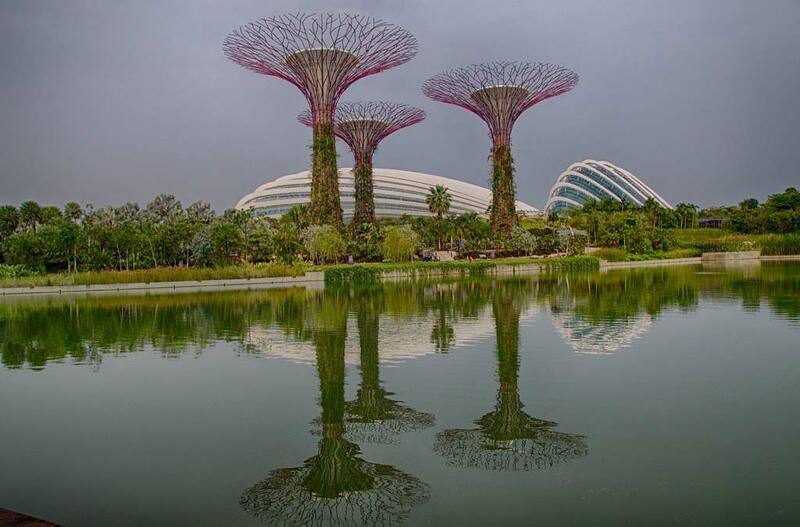 Located in central Singapore, the Gardens by the Bay has three waterfront gardens namely, Bay East Garden, Bay South Garden and Bay Central Garden. While the Bay East Garden is known for its tropical leaf-shaped gardens, the Bay South Garden is popular for its tropical horticulture and garden artistry. On the Bay Central Garden, complete with a 3-kilometer waterfront promenade, is the one that connects the first two gardens. Apart from this, the Flower Dome, Cloud Forest, Conservatories, Children’s Garden, Horicultural themed gardens, etc. are some of the other attractions of the place. Another highlight is the Supertree Grove where you would find huge, man-made tree like structures. While there is no doubt that the Gardens by the Bay would astonish you with its beauty, do not forget to get your camera and click some pictures. 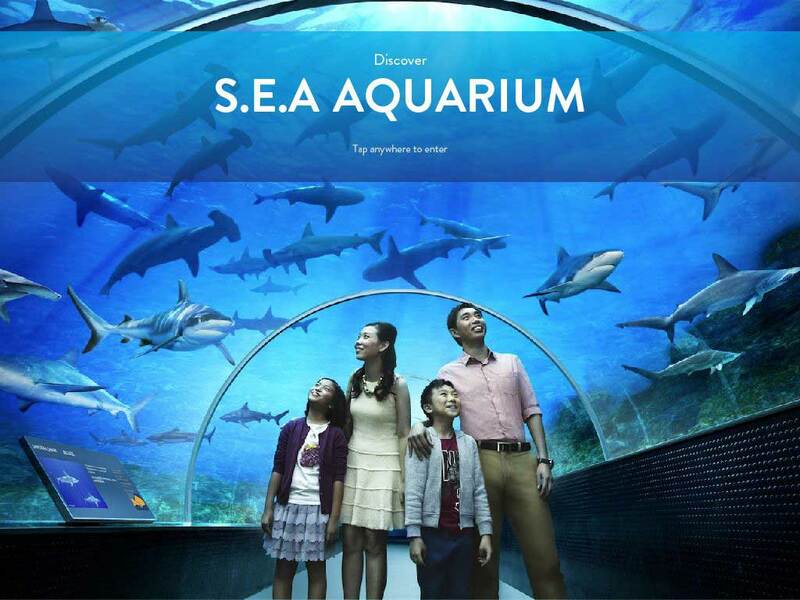 S.E.A Aquarium is the Maritime Experiential Museum in Singapore’s Sentosa Island. The whole aquarium has been divided into 49 habitats and is home to 10,000 marine animals amongst 800 species. While exploring S.E.A Aquarium, you would get to see marine life of Strait of Karimata & Java Sea, Strait of Malacca & Andaman Sea, Bay of Bengal & Laccadive Sea, Open Ocean, Ocean Journey, Red Sea, Persian Gulf & Arabian Sea, South China Sea, Shark Seas, etc. With the Open Ocean habitat, you get a panoramic view of the wide, open ocean where you would be able to see leopard sharks, mahi mahi, goliath grouper, mantay rays, saw fish and a whole lot of marine life. If you are on a vacation in Singapore with children, this is a place you must not miss. Singapore’s enthralling Sentosa Island gives you the chance to go skydiving without actually jumping out of a plane. 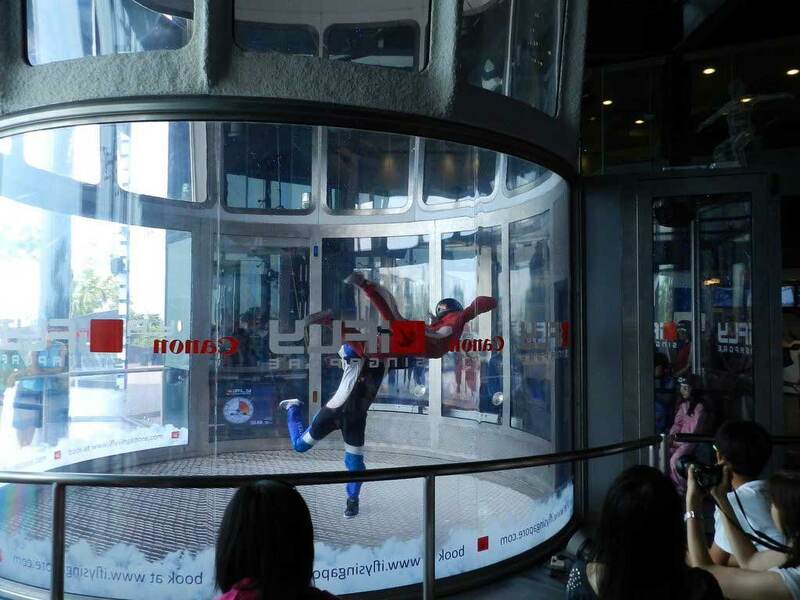 iFly Singapore is a place where you can enjoy a fly diving experience. It is perfect for beginners who haven’t ever tried sky diving. Here, you enjoy free fall condition when you jump into a wind tunnel and will experience the feeling of jumping from a height of 12,000 to 13,000 feet above ground. The wind tunnel is 56.5 feet and 15.5 feet wide and is covered with acrylic glass, ensuring that you get the view of the South China Sea while diving, giving you a near-authentic skydiving experience. Moreover, it is completely safe. The Adventure Cove Water Park is one of the major attractions of Singapore’s Sentosa Island. 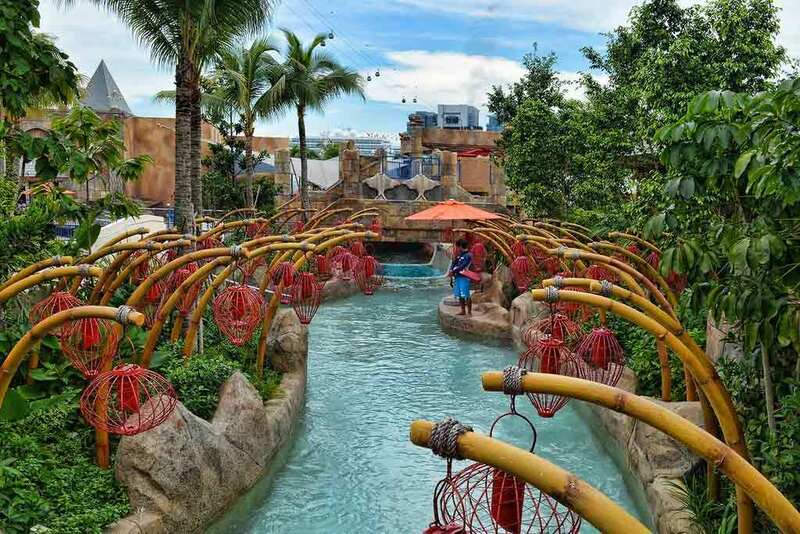 The place has all the thrills and rides that you would find in a water adventure park including slides, pools, wave pools, etc. However, the most unique thing about this place is that it offers you the chance to go snorkelling. The Rainbow Reef has been created to give you a snorkelling experience in the almost real-like ocean. 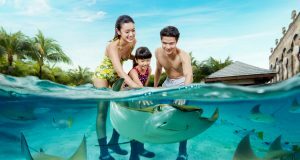 Wearing the actual snorkelling gear and equipment, you can snorkel in the pool of the Adventure Cove Water Park and view colourful reef and actual marine animals like sting rays, sharks, etc. Definitely a must-have-experience, especially if you have never done snorkelling. Shopping is one of the highlights of any holiday destination, and Singapore is no exception. The best thing about this city-state is that it is the perfect place to get the latest fashion at reasonable prices. That’s right! You can buy the latest fashion from popular fashion brands without paying the actual amount. 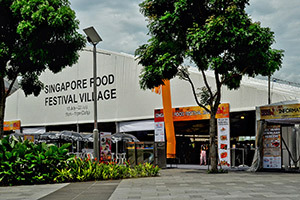 Some of the popular places to shop in Singapore are Orchard Road, Lucky Plaza, Bugis Street, Far East Plaza, Mustafa Centre, Anchorpoint Shopping Centre, Holland Road, etc. 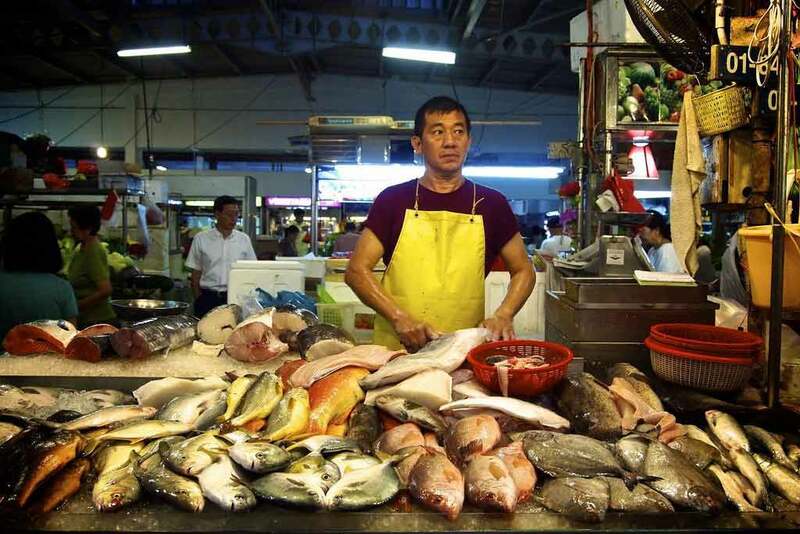 Floating markets of Singapore are also great places to shop for handicrafts as well as fresh produce. 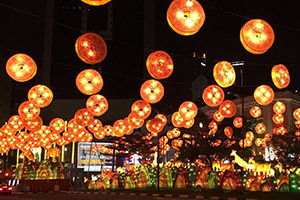 So, you see, Singapore offers a whole lot of things to see and do for tourists, making it one of the top holiday destinations not only in Southeast Asia but also in the world. With so much excitement awaiting you in Singapore, do not delay. Book your tickets today and fly to this dream destination for an amazing holiday!